The story of Ethical Bean is rooted firmly in place and purpose. In 1999, founders Lloyd Bernhardt and Kim Schachte spent most of a year in Guatemala awaiting the adoption of their daughter. There, they watched and learned about the country and the coffee and the people working to make a living growing something we all enjoy. They believed there was a better, more equitable way to honour these farmers — and Ethical Bean was born. Since 2003 Ethical Bean has been driven by the belief that fairtrade doesn’t have to live on the fringe. Lloyd and Kim and our growing team want Ethical Bean to compete with the world’s biggest growers and roasters on quality and taste, but only with fairtrade, organically-grown beans. We want our brand and packaging to stand out from the crowd. We want to use energy, water and materials more responsibly than the rest. And, most of all, we want to provide a fair wage to the farmers who produce our coffee. 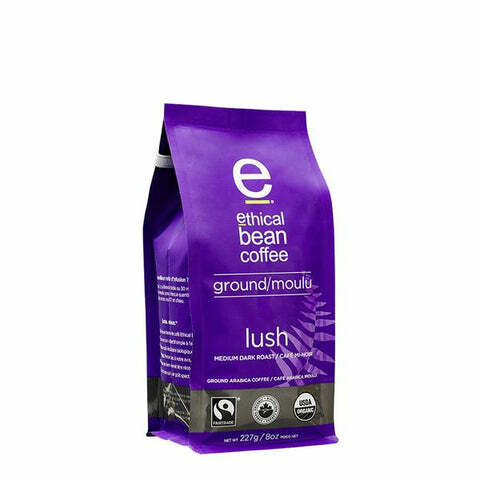 It’s a formula you can taste in every cup of Ethical Bean.